Arthur Rackham (19 September 1867 – 6 September 1939) was a wonderful early English 20th Century illustrative artist who illustrated many fairy tales books. This reproduction from Hansel and Gretel comes from the stories from the Brothers Grimm. 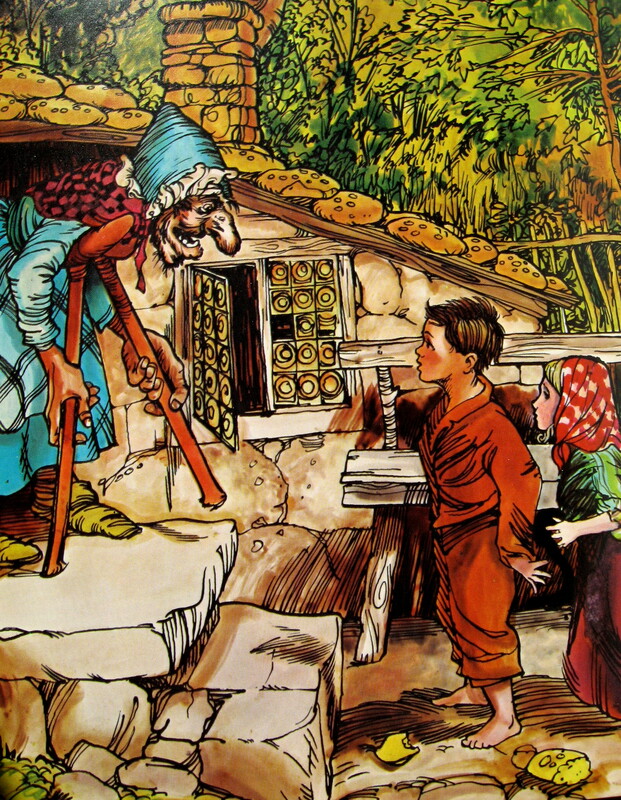 Other well known Rackham illustrations of classic works include: Snow White, Rumpelstiltskin, Rapunzel, Sleeping Bauty and lesser-known tales such as the Four Clever Brothers, King Thrushbeard, Doctor Know-All and Fundevogel, The Queen Bee, The Lady and the Lion, The Valiant Little Tailor, Cat and Mouse in Partnership, The Fox and the Horse, The Goose Girl, and The Little Farmer. Rackham invented his own unique technique which resembled photographic reproduction; he would first sketch an outline of his drawing, then lightly block in shapes and details. Afterwards he would add lines in pen and India ink, removing the pencil traces after it had dried. With colour pictures, he would then apply multiple washes of colour until translucent tints were created. He would also go on to expand the use of silhouette cuts in illustration work, particularly in the period after the First World War, as exemplified by his Sleeping Beauty and Cinderella. Sadly, Arthur Rackham died on the 6th September, 1939 of cancer in his home in Limpsfield, Surrey. This entry was posted in Illustrations, Paintings and tagged #IllustrativeArt, Arthur Rackham, chidren's art, fairytales. Bookmark the permalink.